DOLPA, April 5: Getting fresh textbooks along with the beginning of the new academic session is usually a moment of waiting for almost all school students in Dolpa district. 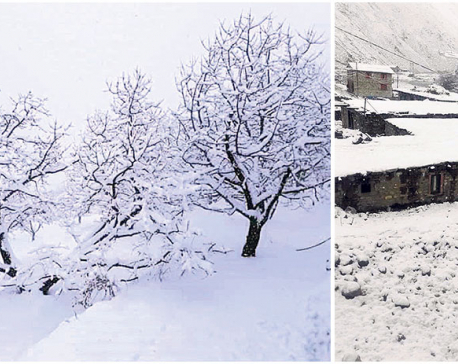 DOLPA, Feb 21: Susmita Shrestha of Tripurasundari Municipality-1, of Dolpa was on cloud nine after hearing that she will one day be able to catch a vehicle from her doorstep. 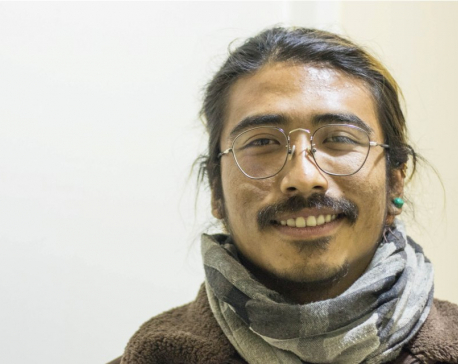 "While reflecting back into those years in Dolpa, I strongly feel that phase of my life has changed my outlook toward life. Every moment I realized what I have lost staying in Dolpa and what I have gained staying in Dolpa." 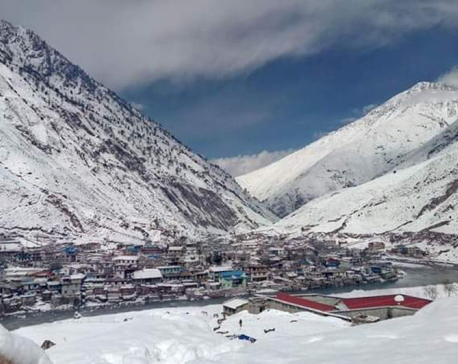 DOLPA, Feb 8: As the entry of a new system of westerly winds impacted Nepal's weather, settlements located in higher altitudes of mountainous Dolpa district experienced snowfalls for the sixth time this year. DOLPA, Jan 24: Ujeli BK spent a lot of time running after local politicians for petty favors. Without their ‘grace’ she could hardly manage to purchase rice. DOLPA, Jan 11: The ward chairperson of Dolpo Buddha rural municipality has been arrested for allegedly stealing idols from Rahap Gumba of She Phoksundo rural municipality-4. DOLPA, Dec 6: After waiting for years, Nepal Army has succeeded in expanding the road in Kotbazar area of Tripurasundari Municipality in Dolpa district by demolishing illegally-built structures. 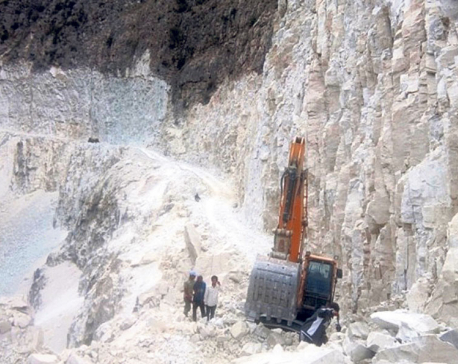 DOLPA, Nov 21: Road networks have finally embraced the remote district of Dolpa. 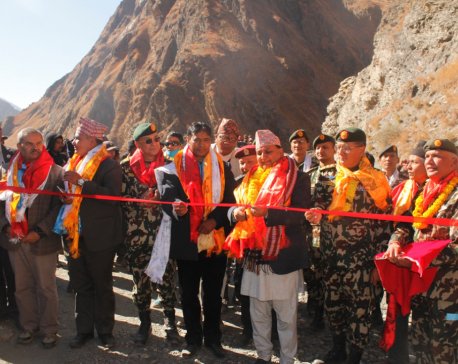 To a great excitement and joy of the locals, Deputy PM and Defense Minister Ishwor Pokharel inaugurated the 103-kilometer Jajarkot-Dolpa road constructed by Nepal Army on Tuesday. DOLPA, Nov 19: With the completion of the Jajarkot-Dolpa road section, preparation for the official inauguration of the vital road linking the capital of the largest district of the country has reached its final stage. 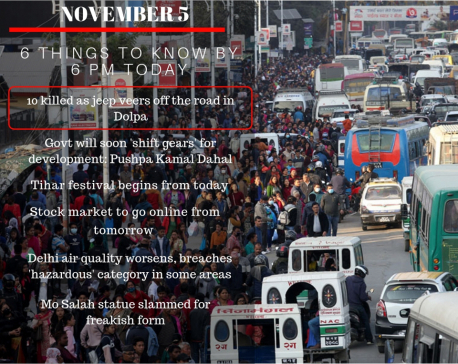 KATHMANDU, Nov 18: Dunai, the headquarters of Dolpa, a trans-Himalayan district, has been connected to the national road network, thanks to the tireless efforts by the Nepal Army. KATHMANDU, Nov 5: Ten people, seven men and three female were killed, two critically injured and one is missing after an overcrowded jeep veered off the road into the Thulo Bheri River in Dolpa, DSP Abdesh Bista of District Police Office, Dolpa said. DOLPA, Oct 6: Happiness knows no bounds for an elderly, Deepa Budha of Tripurasundari Municipality-9, Dolpa. In her twilight years, she has one of her long-cherished dreams fulfilled.“I had hoped but never imagined that I'd live to see my birthplace connected to the road network,” said Budha, now, 66. DOLPA, Oct 5: District Administration Office, Dolpa has decided to beef up security condition in all the eight local units of the district during the upcoming Dashain and Tihar festivals. 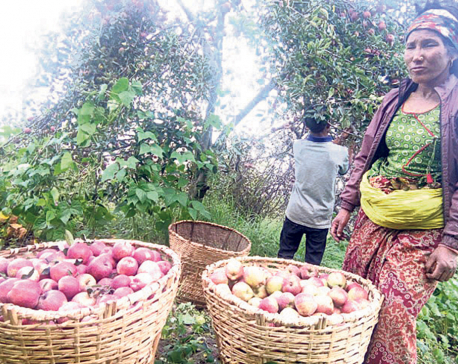 DOLPA, Sept 14: ​Rangagaun village is known as 'apple capital' of Dolpa. And the village lives up to its reputation. JAJARKOT, Sept 12: The counting of the endangered wildlife, the snow leopard, has been concluded in Shey-Phoksundo National Park in Dolpa. DOLPA,Aug 24: Chalgaadh hydroelectric center resumed supplying electricity after a month from Friday in Dolpa. DOLPA, Aug 21: A dream seen by many Dolpa residents is 500 meters away from being realized: Dolpa being connected by road via Jajarkot. 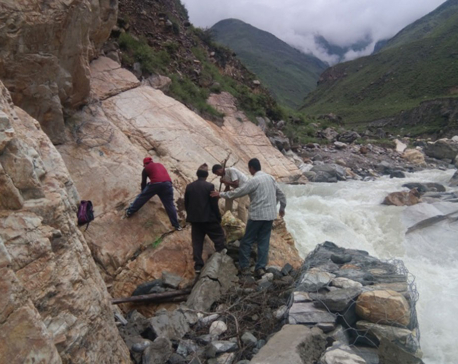 The work is being shouldered by Nepal Army and is nearing completion: 500 meters of road construction at Bheri corridor to connect one of the most remote parts of the country by vehicles. The road will be named Jajarkot-Dolpa. DOLPA, Aug 21: Torrential rain-triggered landslide buried two houses and caved in a house. DOLPA, Aug 18: Health workers of five-health posts of Tripurasunadari Municipality of Dolpa have been deprived of their salaries for the last four months. 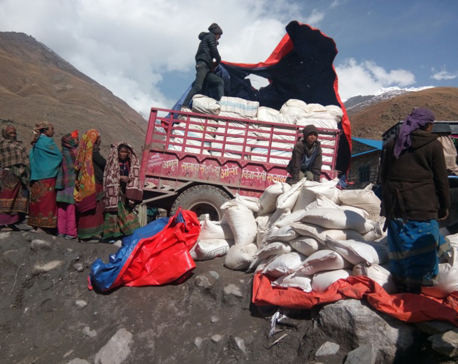 DOLPA, July 31: The government has been distributing subsidized rice to the people living in the remote and mountain districts since long. 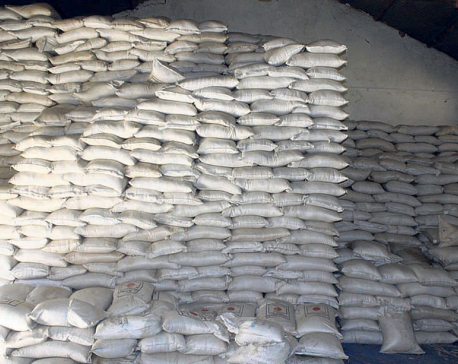 However, the locals of the mountain district Dolpa have stopped buying the rice distributed by the government stating that it is expensive in comparison to the locally available rice. 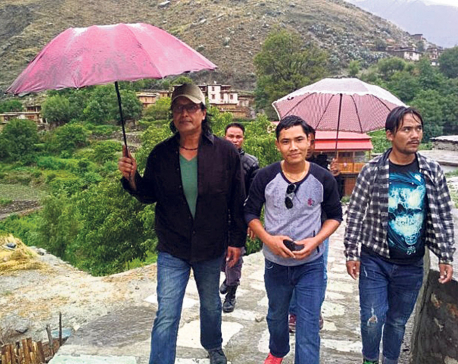 DOLPA, July 4: It's been four days since Rajesh Hamal, one of the most popular actors of the Nepali film industry, has been stuck in Dolpa as his flights got delayed due to bad weather.On June 28, Hamal took a flight to district headquarters Dunai for attending a cultural program. DOLPA, July 3: Nepali Cine Artist Rajesh Hamal has been stranded in Dolpa district due to lack of flights since last six days. 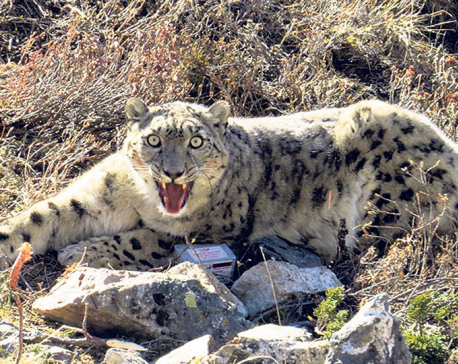 DOLPA, May 3: A fresh census of snow leopard has begun in Dolpa. 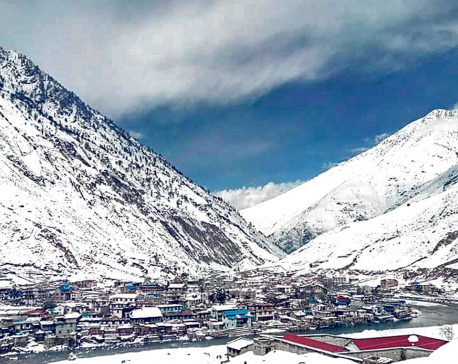 According to Shey-Phoksundo National Park of Dolpa, the census is taking place with financial support from the World Wildlife Fund for Nature (WWF). DOLPA, April 29: Karnali Academy of Health and Sciences (KAHS) in coordination with the Nepal government has started a free treatment camp from Friday for the women of Dolpa who are suffering from uterine prolapse and other related diseases. DOLPA, April 21: A woman died and three others were injured in a jeep accident occurred today at Tripurasundari Municipality-5 in Dopla, a mountainous district in Karnali province. 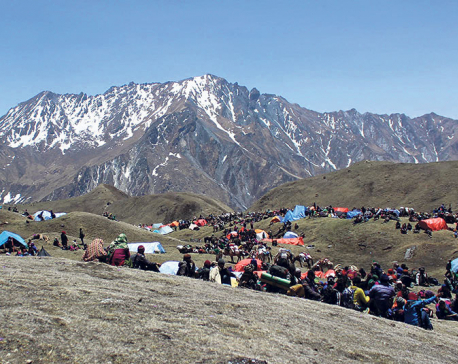 DOLPA, April 13: Three former ambassadors of India to Nepal have arrived for observing the natural beauty and religious heritages in Dolpa district. They were two friends who were poles apart. From their childhoods and hometowns to their identities and habits, they had nothing in common. DOLPA, Feb 16: All five health facilities in Tripurasundari Municipality of Dolpa are facing chronic shortages of medicines. 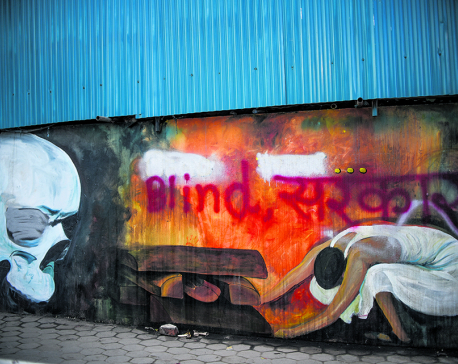 Though shortages have been prevalent since last November, it is yet to draw the attention of authorities concerned. 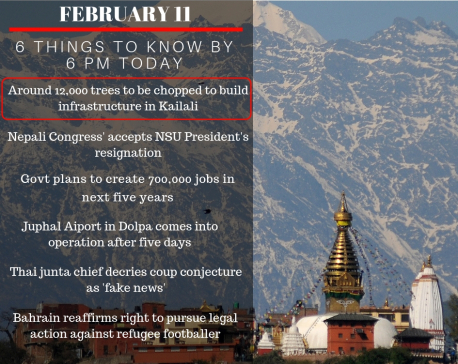 DOPLA, Jan 29: A group of nine local political leaders of Dolpa are currently in Nasik of India to study grape farming. DOLPA, Jan 11: Property worth Rs 23.2 million rupees was destroyed by fire at Mudkechula rural municipality-9 of Dolpa district. DOLPA, Jan 10: At least seven houses were completely gutted in a heavy fire that broke out in Horta Village of Mudkechula Rural Municipality in Dolpa district this evening. DOLPA, Dec 8: CPN-UML candidate, Nanda Singh Budha won with 5490 votes from Dolpa provice 1 'A', the district's Chief Election Officer informed. DOLPA, Nov 26: Two polling centers in upper Dolpa still remain out of contact. 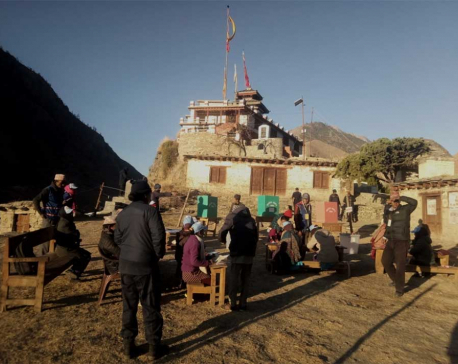 Contact with the Gherang polling center in Charkatangsong rural municipality and Kalang polling center of Dolpo Buddha rural municipality has not been established, the District Police Office said. Voters from 52 polling centers out of 66 have started to cast their vote in Dolpa,a mountainous district, from 7:30 am. DOLPA, Nov 23: Around 30 CPN-UML cadres led by Sher Bahadur Buda and Angad Rana attacked two Nepali Congress agents and tied them to trees whole night at Chakartasog rural municipality of Dolpa. 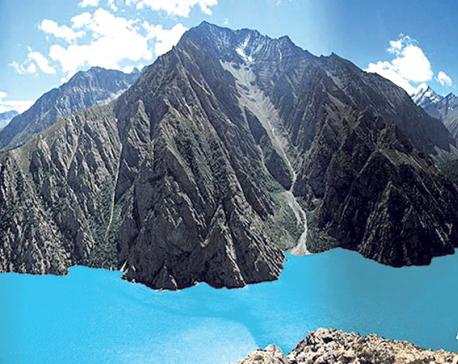 DOLPA, Nov 10: The Himalayan district, Dolpa, is at high risk from climate change effects. This information was shared at a programme on 'climate change effects and the role of local level in mitigating it' organized in Dunai today.